Cyber Security Memo: Check Point 1100 SIP Configuration and Troubleshooting Dropped the packets due to "Violated Unidirectional Connection"
Check Point 1100 SIP Configuration and Troubleshooting Dropped the packets due to "Violated Unidirectional Connection"
One request came up for a simple internet SIP connection to SIP provide Goldline. 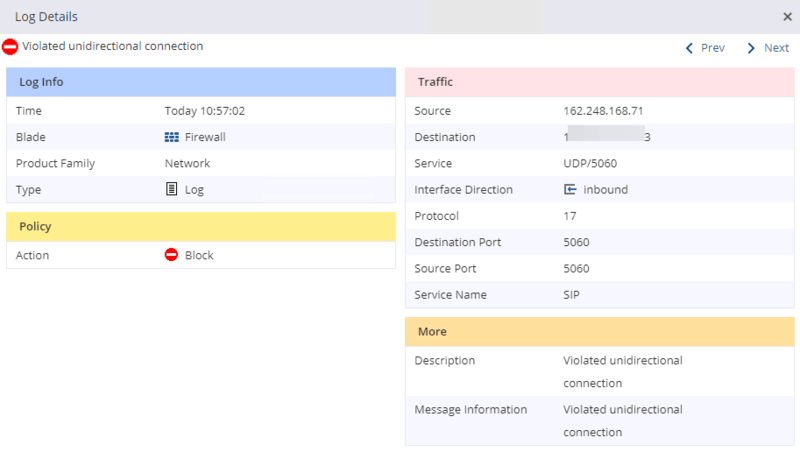 There are VoIP devices involved in this task, such as Cisco Router AS5350 and IP PBX, also Check Point 1100 firewall used to protect this connection. System image file is "flash:c5350-is-mz.123-10e.bin"
cisco AS5350 (R7K) processor (revision T) with 262144K/131072K bytes of memory. PLD/ISP Version 2.2,  Manufacture Date 29-Sep-2005. 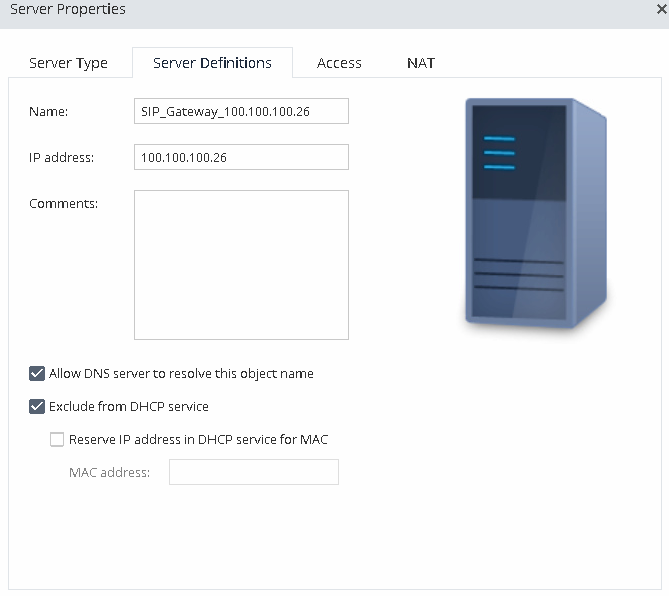 QoS Rule: Traffic to Goldline voip gateway ip addresses (162.248.168.71, .73, .74), DSCP set to 8. It is strongly recommended to verify Cisco and Check Point for TOS/QoS settings for both rtp and SIP signal. By default, the setting may be either DSCP EF (decimal 46) or TOS IP precedence 7. While these settings are fine on LAN, on Internet, the invervening routers will extra processing to remove the tags and then forward, when routers are too busy, it will simply discard packets. This will result in intermittent voice quality issues. 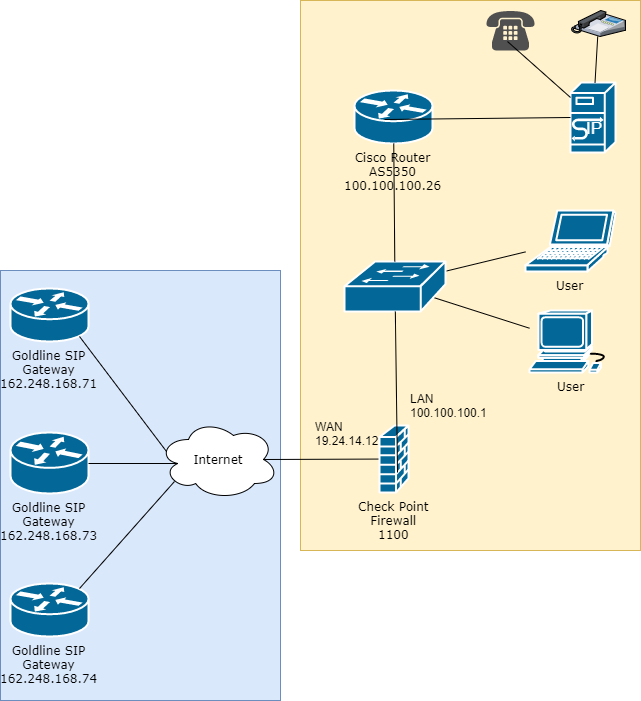 the recommendation is either set the DSCP to CS1 (decimal 8) or TOS IP precedence 1 on the edge routers , or on the Check Point firewall traffic shaping to DSCP to CS1 (decimal 8), for the packets for Internet connection to Gold line. 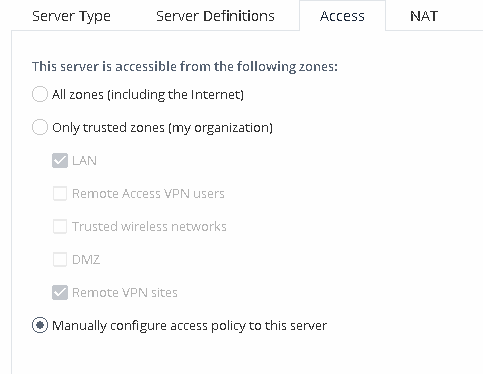 Server access rules and nat rules also can be configured by auto generated way. 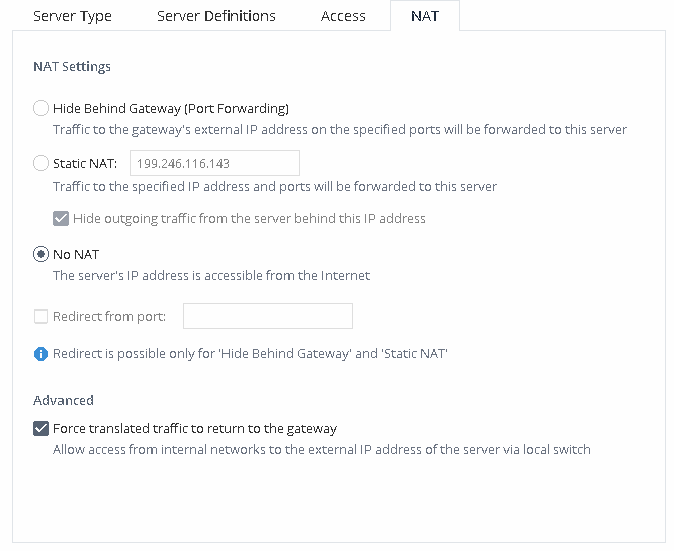 But there was an issue I found, I could do statically nat to a different public ip address than gateway interface ip. 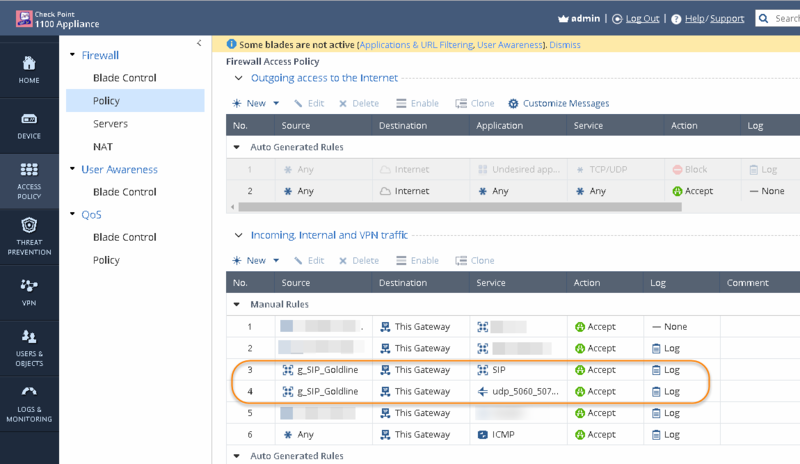 But outbound traffic is still using gateway interface ip, which caused problem on SIP connection to Goldline. 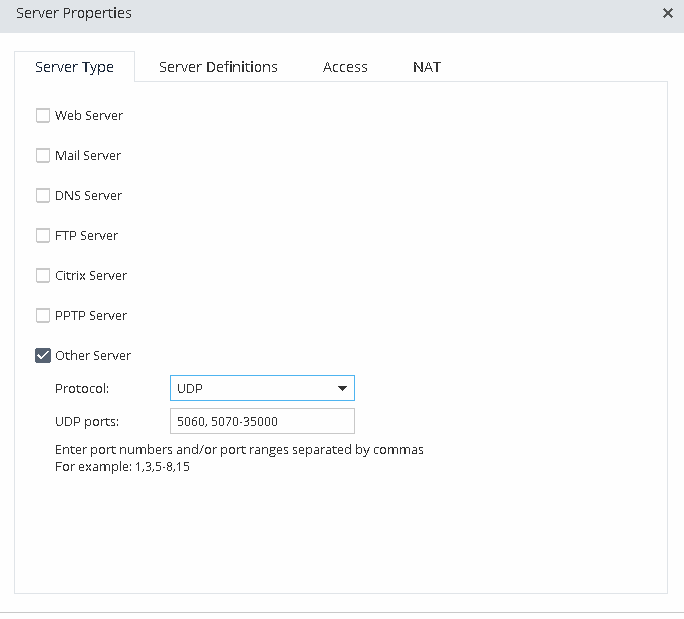 After many try, I gave up with statically NAT for server, and configured server with manually configuration of access policy and no NAT configuration. There was an error in logs which shows some packets from SIP provider Goldline was dropped . The reason is because of voilated unidirectional connection. There are quite a few KB from Check Point website to discuss this error, especially UDP Traffic on 600 / 700 appliances is dropped due to "Violated Unidirectional Connection". After I followed the solution to reboot the Cisco AS5350, the issue seems gone. UDP Traffic on 600 / 700 appliances is dropped due to "Violated Unidirectional Connection"